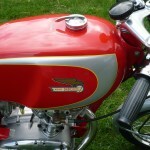 Restored 1956 Ducati Mach 1 Motorcycle. This Mach1 was restored as original by its owner. 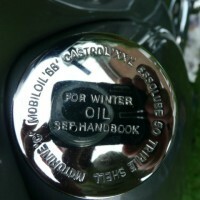 A rare new old stock gas tank was sourced. The tank was repainted with the original varnish type decals. A new old stock Dellortto 29mm carburettor was fitted. The seat was recovered to match the original. The original Barruzzo wheel rims were re-chromed and rebuilt with new spokes. 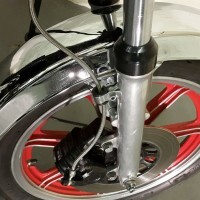 The clip on handle bars are correct and were re-chromed. All of the cables were replaced with nos items. 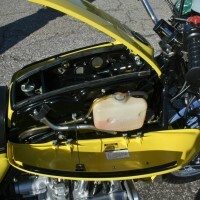 The engine was rebuilt all new internal parts including the crankshaft and connecting rod. 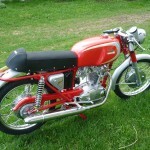 A really rare restored Ducati Mach 1 Motorcycle. 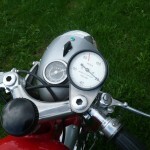 Ducati Mach 1 – 1965 For Sale or Wanted? 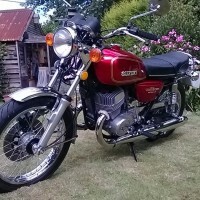 If you're looking for the perfect Ducati Mach 1 – 1965 for sale then take a look at the hundreds of restored classic motorcycles listed on our extensive Motorcycles For Sale pages. 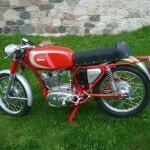 We regularly feature very nice restored Ducati Mach 1 – 1965 bikes for sale. 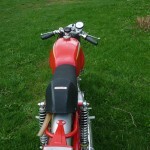 Spares and Parts for your Ducati Mach 1 – 1965? 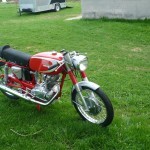 Workshop Manual for your Ducati Mach 1 – 1965? 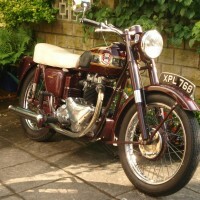 Hi Frank we’re an enthusiast website displaying photos and stories of some wonderful bike restorations. Is this bike still available? ?